ABC presenter Tony Jones hit back at a Liberal Senator in a fiery on-air spat over the future of the organisation's funding. 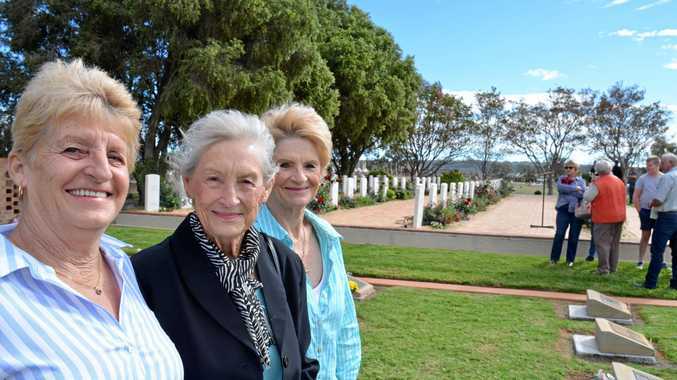 There were cheers and a chorus of laughter from the audience as the Q&A host hit back at pollie Linda Reynolds who asked why he and the show hadn't been out to visit her constituents in Western Australia for several years. 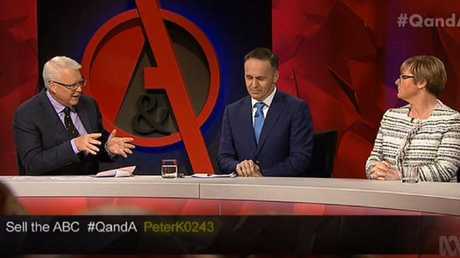 The exchange began when a member of the audience asked whether how an initiative, championed by some in the Liberal Party during a conference over the weekend, to privatise the public broadcaster could be beneficial to the Australian public. "Why do you think this is a beneficial decision when the ABC is the most trusted news source and broadcasting corporation in Australia?" she asked. "If it was privatised, how would you guarantee its independence?" 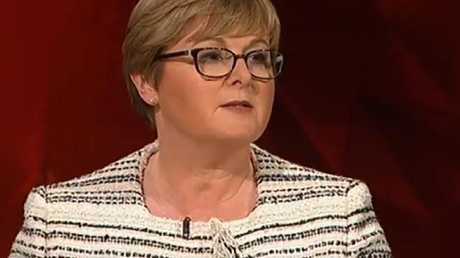 Senator Reynolds hit back at the question, saying the Prime Minister had "made it very clear" the ABC won't be privatised. "I was there at the conference over the weekend and I heard the debate on the motion and, from my perspective, I think it's not so much about privatising the ABC which is not going to happen, but $1.2 billion of your taxpayers' money goes into the ABC every year. "I think it's valid for us in Parliament and for all of you to actually question whether that money being best spent. "So for example I'm from the state of Western Australia and I hear frequently from people in rural and regional areas in Western Australia that they don't feel that they get enough service from the ABC." She then turned to Mr Jones, challenging him and the show to visit Western Australia, which claimed they hadn't done in "about six or seven years". "You might have to increase our funding just a little bit, Linda," Mr Jones replied. "That's one of the problems, I'm afraid." The audience then erupted into applause, but the senator continued to probe the emboldened host. "I think in $1.2 billion you can find a few dollars," she said. However, Mr Jones replied saying the budget had to cover a lot of services over a big organisation. "We'd love to do that, so write to the managing director and see if they can find the money in the diminishing budget," he said. "Come to Port Headland and the Pilbara and where 40 per cent of our nation's wealth has been generated and probably 40 per cent of your salary comes from Western Australia," Senator Reynolds said in one last jab at Mr Jones. The fiery exchange came after the Liberal federal council passed a motion with a two-to-one majority on Saturday calling on the coalition to sell off the ABC, except in regional areas. However, Malcolm Turnbull on Monday declared the ABC will always be in public hands, after members of his Liberal Party voted to sell it off. "The ABC will always be in public hands. It will never be sold. That is my commitment. It is a public broadcaster. It always has been and it always will be," Mr Turnbull told reporters in Canberra. 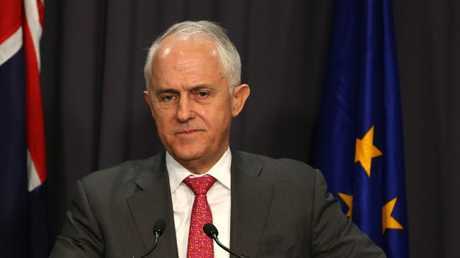 The Prime Minister's statement in defence of the ABC came minutes after he was forced to abandon a press conference to block attempts by the federal Opposition to bind Parliament to keeping the institution public. Shadow Attorney-General Mark Dreyfus sought to move a motion in Parliament resolving the Lower House would "never support the privatisation of the ABC", and for an $83 million funding cut to be reversed. Other Q&A panellists chipped in and were largely supportive of the ABC remaining in public hands. "The motion we saw at the Liberal Party Federal Council on the weekend, it's not an isolated incident," said Tim Watts, a Labor member for the western Melbourne seat of Gellibrand. "Five Liberal Party senators have spoken in favour of privatising the ABC before. "It sounds insane. It sounds like a crazy idea, but this is the mainstream of the modern Liberal Party. "There was a time when conservatives cared about institutions. They cared about the things that we needed to sustain a democracy. Now it's just off-the-shelf ideology from America." Senator Reynolds responded saying the claim that the Coalition's policy and ideology comes from America "doesn't make sense" and added that the ABC plays a "really important role". "But that said, it is still publicly funded," she added. "What we want to do is, like we do with any other organisation that's publicly funded, is keep challenging it to make sure it is still serving the purposes for which we fund it and for which we require."